Archadeck of Columbus explores the pros and cons of wood and whether natural wood is a good choice for you to use on your deck or outdoor space. 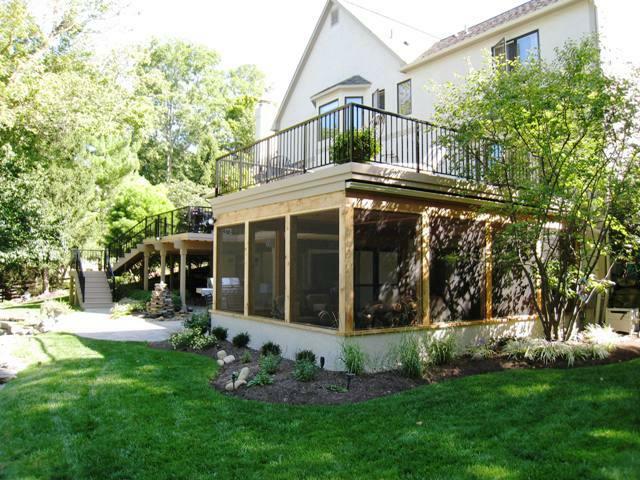 Cedar deck in Columbus, OH with pressure treated pine rail posts. Nothing compares to the rich beauty of natural wood. Bear in mind, that beauty comes at a price; wooden outdoor spaces have to be properly maintained in order to keep them looking and functioning their best. If maintenance is not your thing, then choosing natural wood as the main ingredient to your outdoor living space is strongly discouraged. If maintenance is an aspect of having the wooden outdoor space of your dreams which you are willing to conscientiously partake in, then wood is good for you. 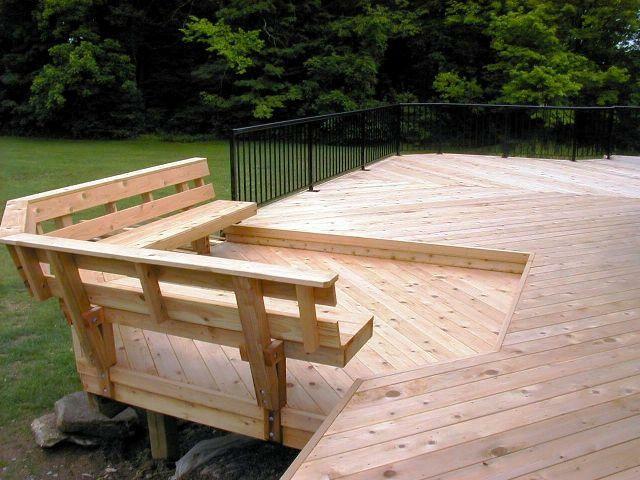 Wooden outdoor structures, such as decks can be high maintenance. The amount of maintenance is based on your space’s orientation with the sun, this is especially the case if your home faces south or west. If your home faces directly in correlation with the sun then you will have to clean and stain it more often than if your project faces north or east. 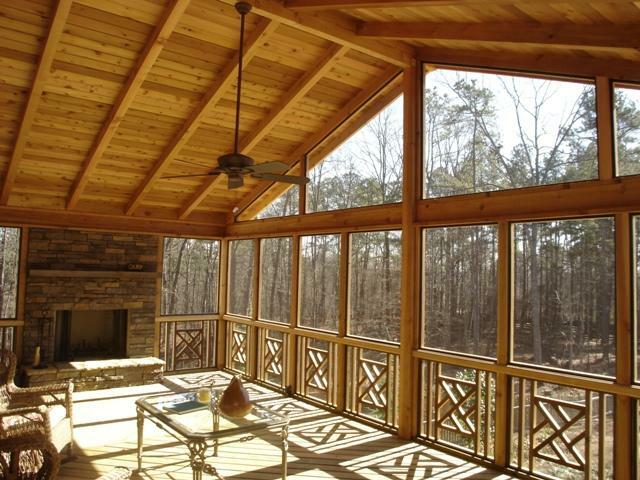 Even though many times wood is the least expensive of the outdoor structure building materials available, it will require maintenance to ensure its longevity. 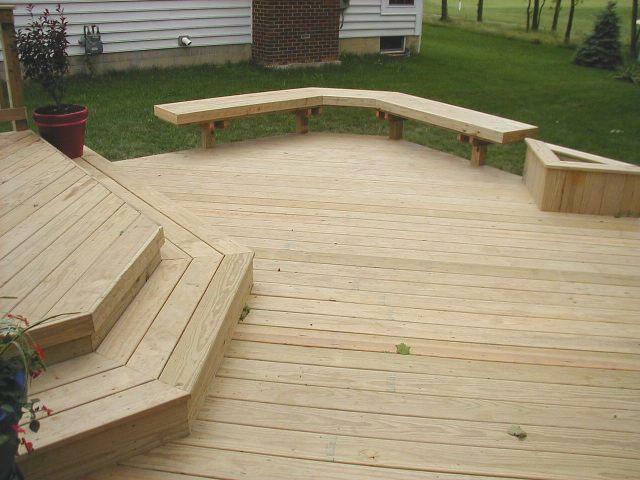 Custom designed pressure treated pine deck in Powell, OH. In climates such as ours in Ohio, we experience freeze and thaw conditions. 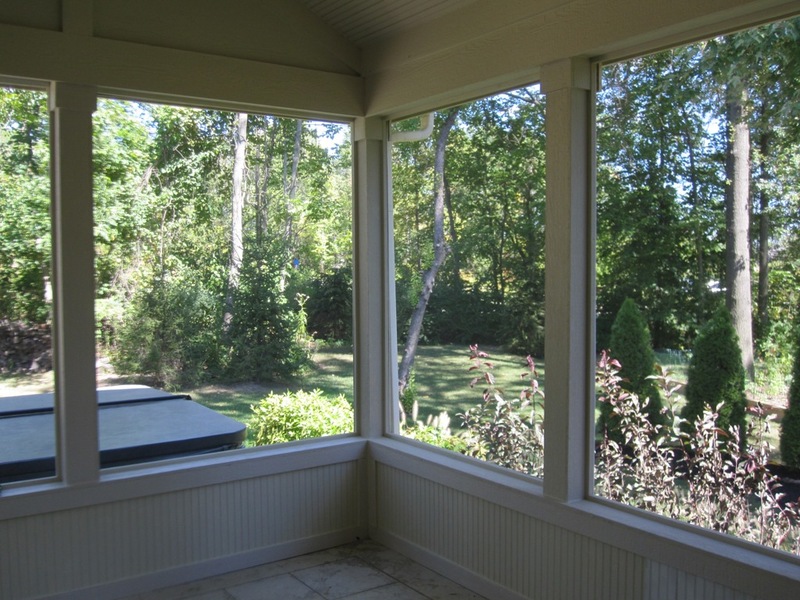 These temperate conditions can cause wooden outdoor spaces to expand and contract more often than homeowners in the south who experience a milder, more level climate. Pressure treated pine is one of the most commonly used materials for outdoor living space projects and is very susceptible to contraction and expansion. Pressure treated wood is infused with “green” chemicals that preserve it and offer protection from bug infestation and termites, but it will not prevent movement occurrences as a result of our climate. 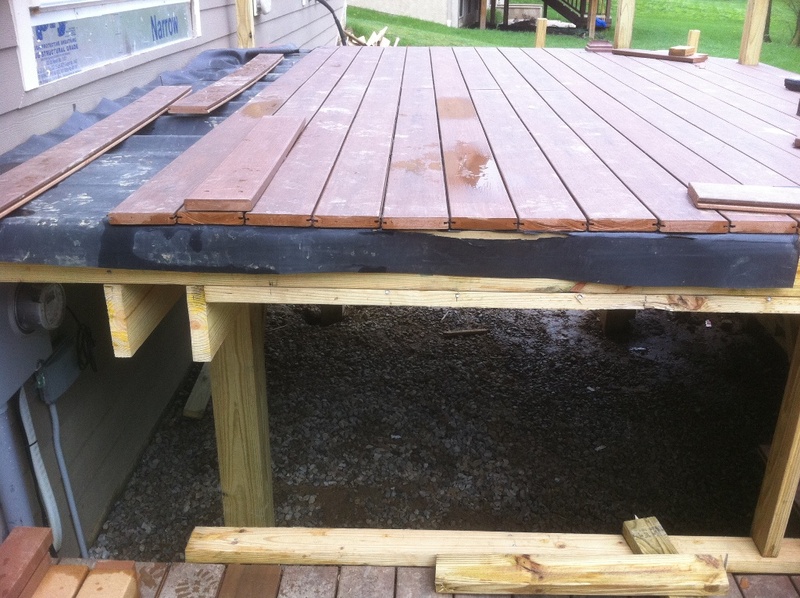 In order to counteract the damage that can occur with wood, and to prevent degradation, Archadeck of Columbus recommends regular maintenance. 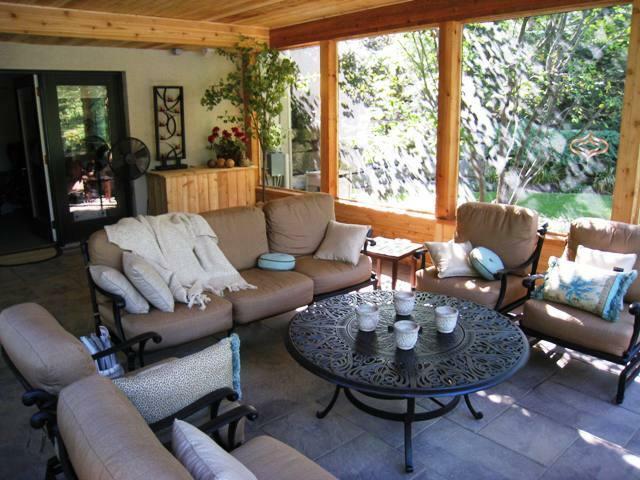 This maintenance includes staining and sealing your wooden deck. We do not offer services for staining, we typically outsource it. 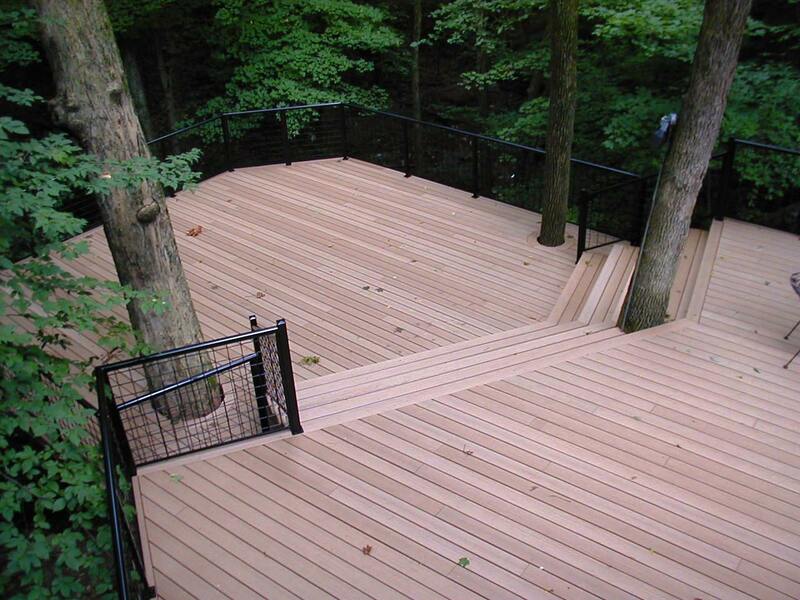 For new decks, we advise waiting 3-6 months before staining and sealing it. 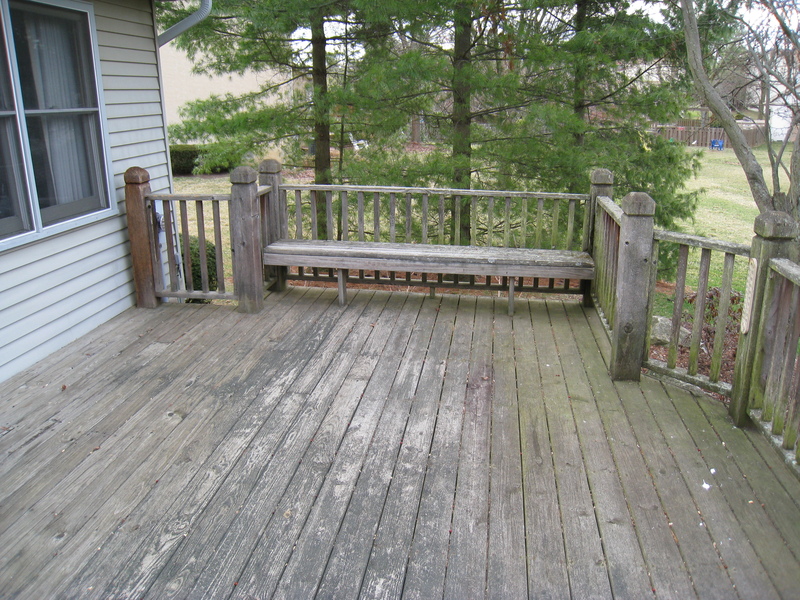 Typically homeowners can expect to have to re-stain their wood deck every 1-2 years depending upon sun exposure. Keep in mind, this will be a requirement with any kind of wood. White cedar for example, doesn’t expand and contract as readily as pressure treated pine but it can still regress when exposed to the continuous stress of the elements. 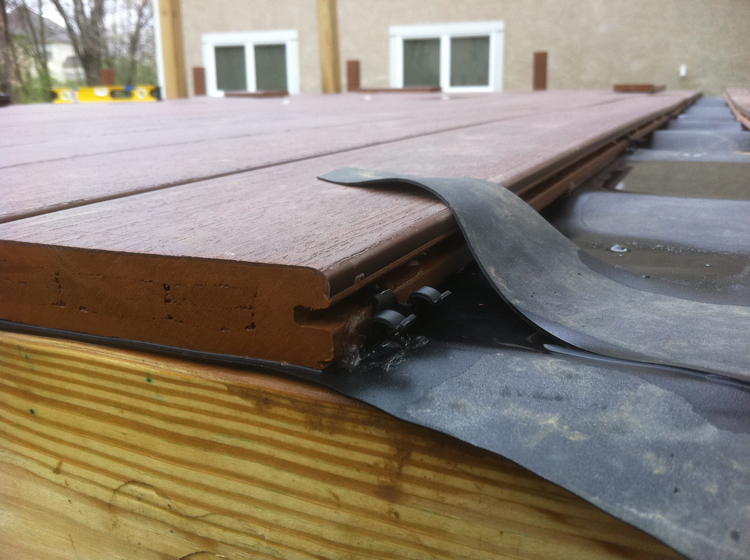 Another factor that can lead to the degradation of wooden decks is the wrath of the sun. 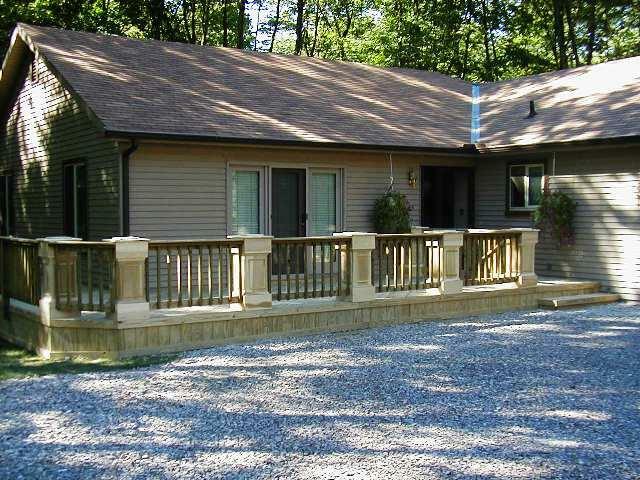 The sun is your biggest enemy when it comes to wooden structures. We covered many of the key points of wooden degradation in a previous post titled ” Pressure treated pine- a maintenenace nightmare”. Archadeck of Columbus vehemently discourages painting a deck, or any other wooden horizontal outdoor living surface. The reason is because the paint doesn’t actually adhere to the deck’s surface.It just sits on top of it. With staining you are getting deep enough into the wood to alter the pigment and offer protection to the wood. Even though the Columbus area receives an abundant amount of rain and moisture for the better part of the year, in summer it turns dry and hot. The sun will beat up the wood and you will begin to see where the wood fibers separate, raise up and then splinter. You can avoid this by keeping your deck moist during the hot, dry months by taking a hose to it and wetting it down thoroughly every few days. 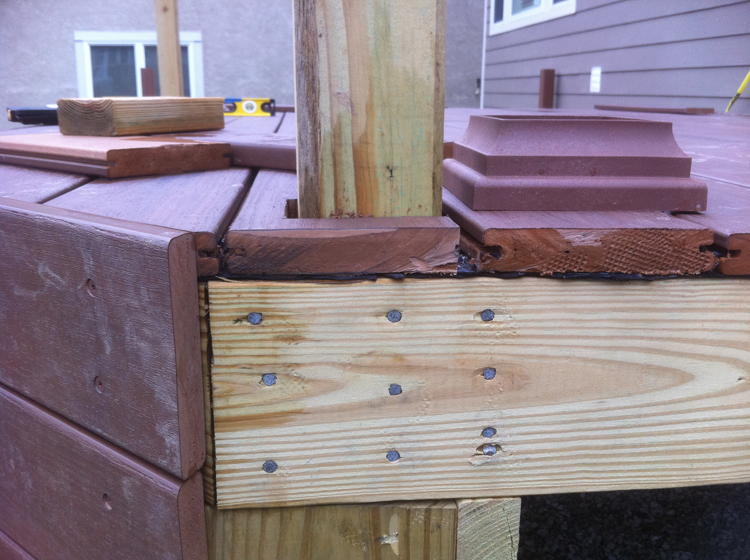 This prevents drying out, because once the wood starts to separate it will never recover. A good rule of thumb is to “water” your deck when you water your plants during the worst summer months. 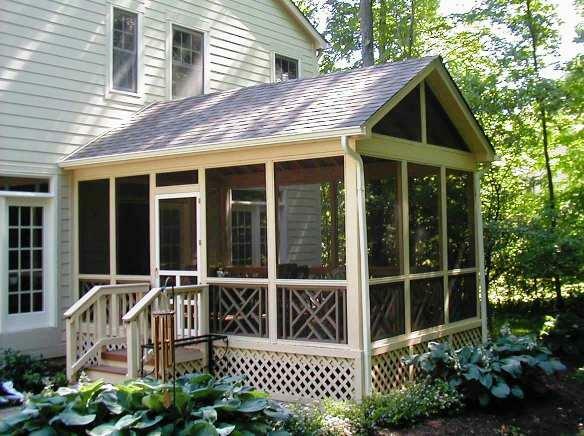 Many composites emulate the look of wood beautifully and require very little maintenance. 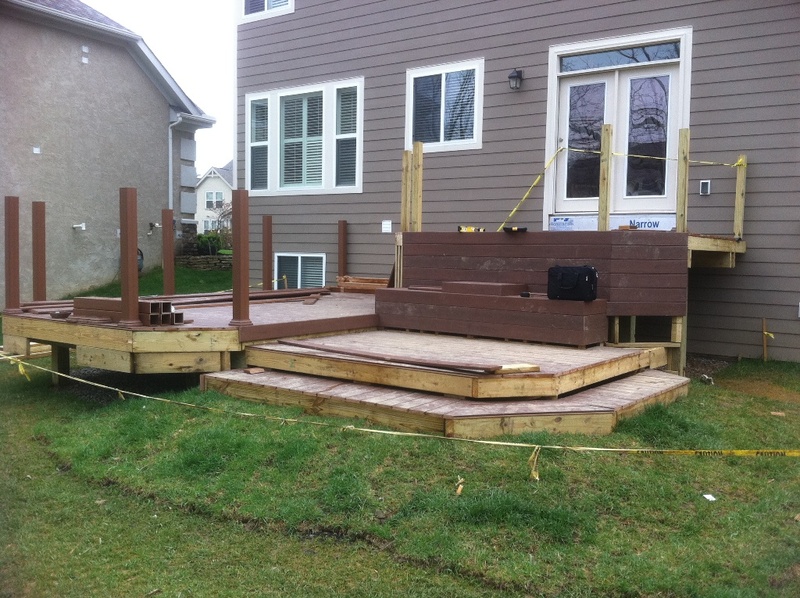 When you make the decision to use wood as your deck or outdoor space medium, it is never a question of “if” it will inevitably be affected by the elements, it is a question of “how soon”. If you don’t mind taking care of your deck, then it can be beautiful and serve you well. 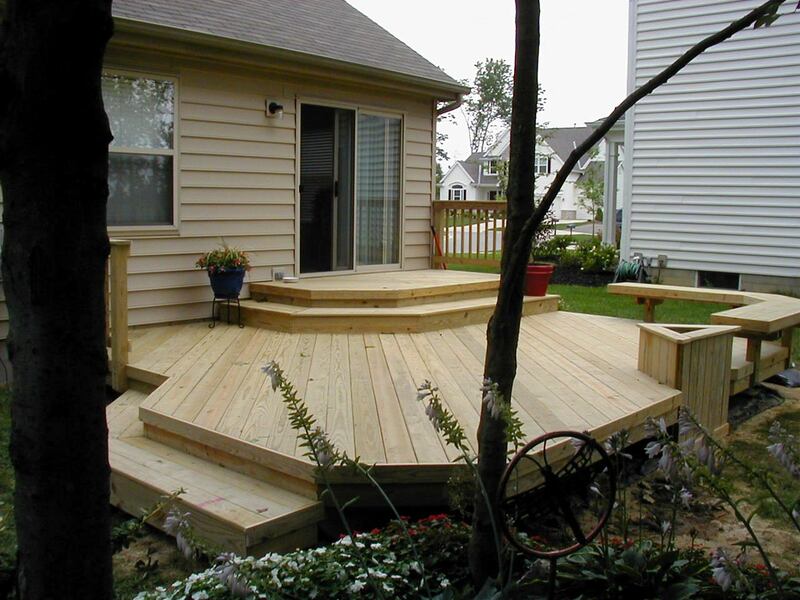 If a wood deck is really well maintained and has minimal sun exposure it can last 20-25 years. If you aren’t willing to spend the time it takes to own a wooden outdoor space, there is a plethora of low-maintenance choices available as a beautiful alternative to wood.